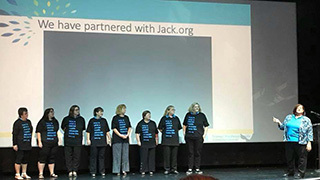 TPI’s Zeina Gedeon and just some of the team who are proud to support Jack.org. It’s no secret that the number of charities a retailer can support is almost limitless. But for TPI the choice is clear: Jack.org and its youthful volunteers helping young Canadians with mental health challenges is not just deserving but timely. Jack’s approach is revolutionary: it’s all about training young people how to talk to their peers about mental health (the target audience is Canadians 15 – 24). After all, they share the same outlook, same problems, same vocabulary. 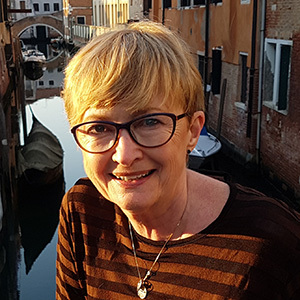 In its 7-year history the charity has grown to 187 chapters across the country tasked with training volunteers – who now include several sons and daughters of TPI advisors. TPI, which itself comprises 850 advisors and a head office staff of 50, officially launched its two-year partnership with Jack last month. $13,000 was raised auctioning off an AMA cruise, AC tickets to the Caribbean and a trip to Bali. The chain is continuing its efforts with, for example, advising clients they are donating “Jack Dollars” instead of offering corporate gifts this year, and asking suppliers to donate to Jack in lieu of giving them gifts. TPI even has its own page on the Jack site. Friendly rivalry is encouraged between the three regions across Canada. In all TPI hopes to raise $50,000 by the end of 2020 – and if successful, head office will match that.